6" x 7.5",9" x 11"
This is an original production setup including two production cels and the matching background from the Walt Disney Studios production Susie the Little Blue Coupe (1952). 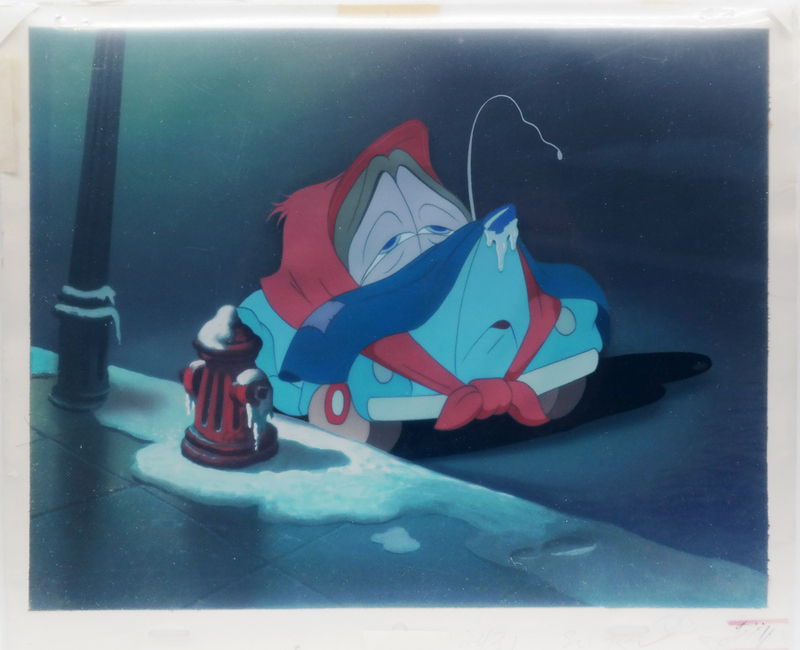 The hand-painted image features Susie left out in the cold on Skid Row. It was created at the studio and used during production, representing an actual frame of animation that was photographed and appears in the cartoon. The overall measurements of the piece are 10" x 12", with the image of Susie measuring 6" x 7.5" and the image of the street measuring 9" x 11". 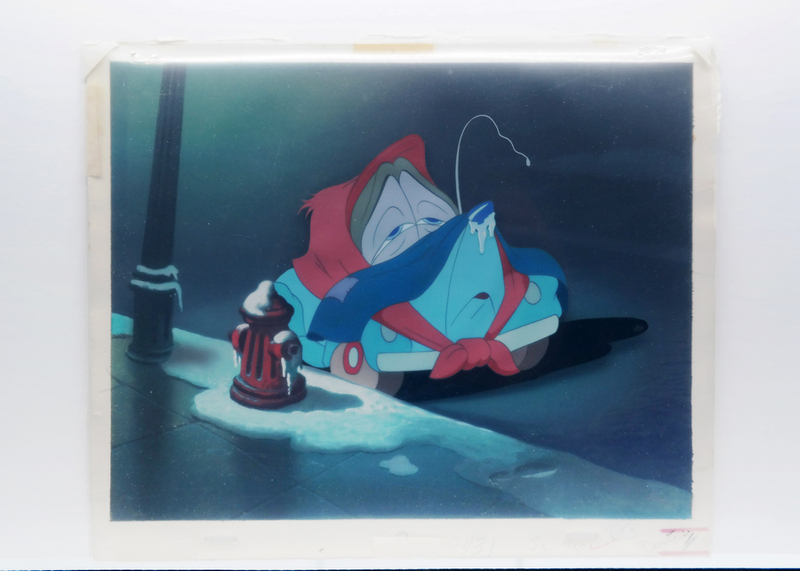 The cel is in very good condition with some scratches across the surface of the cels and curling of the edges.